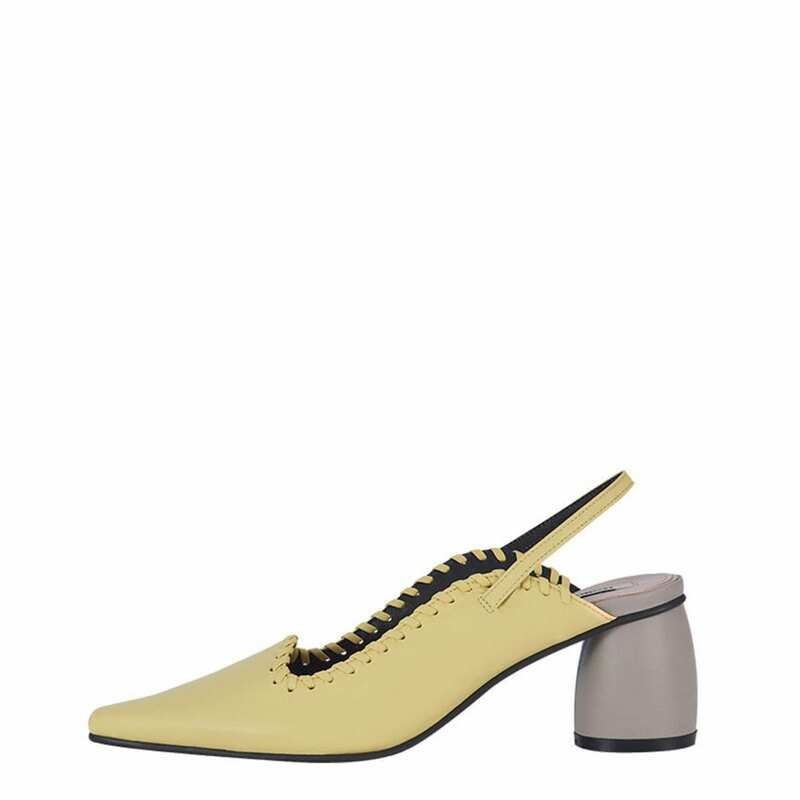 Slingback pump from Reike Nen. Padded footbed with woven logo patch. Leather lining. Leather-wrapped cylindrical heel.